Jean-Michel Aulas, president of the French Ligue 1 side Lyon, ramped up his pursuit of U.S. women's national team star Alex Morgan on Wednesday after promising to recruit a U.S. player for his club's women's team. Aulas said he is not deterred by the fact thatMorgan is the face of the NWSL's newest franchise, the Orlando Pride. Her husband, midfielder Servando Carrasco, is based in the same city, playing for MLS squad Orlando City SC. "Contact has been established," Aulas told Canal+ at half-time of Lyon's UEFA Women's Champions League win over Zurich on Wednesday. "There is work with her agent, herself and other players, and I hope we'll achieve our goals. Next year, we'll have an American player at OL." Aulas, 67, has attracted attention by using social media to court Morgan and other international stars. Back in June, Morgan tweeted to former international teammate Abby Wambach to bring back croissants from France while the latter was working at the Euro 2016 tournament. Aulas replied to them via Twitter: "You can play in the best team in Europe with Olympique Lyonnais in the nicest stadium," and added a photo of the club's state-of-the-art Parc OL. "Alex Morgan is an exceptional player," Aulas told Canal+. "If there was a chance to bring her in, it would be very good, because it's part of OL's marketing plan to have players from every continent." The 27-year-old Morgan has developed into a mainstay of the U.S. side since becoming the youngest member of its FIFA World Cup squad in 2011. 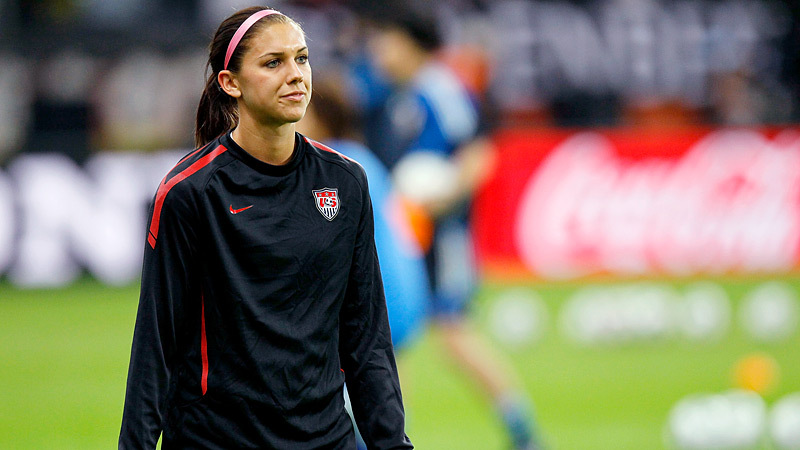 She helped the U.S. team win 2012 Olympic gold as well as the World Cup last year. Aulas has helped fashion Lyon's men's and women's teams into major football forces in Ligue 1.